There's no rest for the leader of the pack. Although Photoshop has been the undisputed top dog among image editors for as long as most of us have been working with digital photography, Adobe's flagship pixel pusher has not been resting on its laurels. From the moment I finished work on the first edition of this book, which dealt with Photoshop 7.0, Adobe has been enhancing the program non-stop, adding features of special interest to photographers, such as enhanced manipulation of digital camera RAW files, new filters, and improved red-eye correction tools. Many improvements have been going on behind the scenes, too, where they are less obvious until you start digging. Photoshop CS2 now can work with more than 2GB of RAM, which can be important for photographers who've loaded up their computers to deal with the 8- to 16-megapixel images that are becoming common among serious advanced digital cameras. Adobe has been gradually folding the features of its stand-alone web-oriented tool, ImageReady, into Photoshop itself; the company has announced that this is the last version of Photoshop to include ImageReady functionality in a separate program. 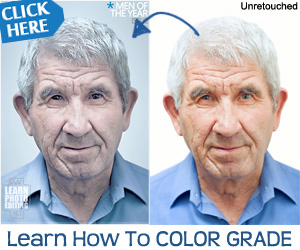 And, Photoshop is growing to meet photographers' image management needs, too. You'll find Adobe Bridge, a stand-alone program that can be used with other Adobe applications, to be the most advanced file browser you've ever used, especially when you see that it's integrated tightly with the other components of the Adobe CS (Creative Suite) software tools, such as Adobe Illustrator CS and Adobe InDesign CS. Yet, even as Photoshop grows in features and power, the best news is that Adobe has avoided the trap Microsoft falls into, of packing in features that, at best, few people want, most people don't understand, and, at worst, lead to an endless parade of bugs and security holes. Most of the new features in Photoshop CS2 are those most desired by users. And, if you happen not to be enamored of a particular feature, this new version of Photoshop lets you customize your menu system to make features you don't need invisible, color code the features you use the most so you can find them quickly, and restore your system to the default user interface with a few clicks. This customizability can be important because there are as many different types of users of Photoshop as there are types of photography. For example, I began my career as a photographer working for newspapers; later I worked in a studio and eventually became a roving photojournalist. Like many photographers, I was seduced by the dark side of technology (computers) when I saw the many ways the desktop computer could help me do my work. I first approached Photoshop from a photographer's point of view. Other Photoshop fanatics reach the same destination through other routes. Artists who originally may have had little or no photography experience find computers invaluable for enhancing digitized versions of their canvases, or for creating original works from scratch. Those whose job descriptions involve graphic arts and pre-press production find tools like Photoshop priceless for enhancing scans or fine-tuning color separations. Other Photoshop masters start out in the classic computer nerd mold and wallow in pixel pushing for the same reason that Tenzing Norgay first climbed Mt. Everest: because it's there, and, as a bonus, there's a little money to be made doing it. No matter which route you used to arrive at Photoshop, when you disembarked two things probably grabbed your immediate attention. First, even a cursory examination of its feature set reveals that Photoshop can do just about anything you need to do with images. The second thing you doubtless noticed is that the program has about five dozen completely different tools; millions of menu entries (actually, closer to 500 menu items, including some that are duplicated, and another 100 or so menu entries for Photoshop's plug-in filters); and 10,000 different dialog boxes (that estimate is accurate, I think). How do you learn all this? With Photoshopoholics Anonymous, the challenge is the same as with any 12-step program: one day at a time. Your advantage as a photographer is that you already have an understanding of much of the underlying techniques that make Photoshop what it is. You don't have to rediscover the wheel. 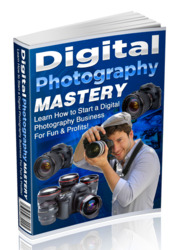 In fact, if you're a halfway serious photographer and more than a casual Photoshop user, you're ready to shift into overdrive with this book. This brief chapter, a view of Photoshop CS2 and photography from 50,000 feet, provides an overview that's oriented, like the rest of this book, from a photographer's perspective. You'll learn why Photoshop was created expressly to meet your needs, and how you can use what you already know to make Photoshop work for you right from the start.